TDS on Rent is deducted under what condition? My father is a senior citizen, he has income from pension and rental income from the property. His annual income from rented property is above 1.8 Lac, a tenant is deducting 10% TDS on rent under section 194I. Is it correct? This query was posted on my e-mail address. My answer to the query is TDS is not applicable in above case as a father is not eligible for tax audit under section 44AB. There are many people who get confused when it comes to TDS on rent. So, today let’s demystify TDS on rent and applicable rules. 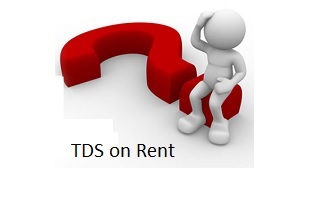 TDS on Rent is applicable only if total rent amount exceeds 1.8 Lakh per annum. The limit of 1.8 Lakh per annum is per taxpayer. The rate of TDS is either @10% or @2%, which is based on the type of asset given on rent. In the case of land, car or property is given on rent 10% TDS is applicable. However, if plant or machinery is given on rent 2% TDS is applicable. In case any advance rent is paid by the tenant, it is subject to tax deduction. Any service charges payable is covered under definition of rent and TDS is applicable on the same. No TDS is applicable if the property is given on rent to individual for the residential purpose. No TDS is applicable if the property is given on rent to individual for commercial purpose and total business turnover of the person is less than 1 Cr per year. In case the landlord collects any advance payment as a deposit which will be refunded at the time of vacating the property. No TDS is applicable on such deposit amount. TDS on rent is not required if the amounts paid or payable by an individual or Hindu Undivided Family. (HUF). There is no requirement to deduct income-tax at source on income by way of ‘rent’ if the payee is the governmental agency. Also Read – How to pay TDS on sale of property? Once a tax is deducted you need to deposit the tax amount on or before 7 days from the end of the month in which the deduction is made. It is compulsory to issue TDS certificate on a quarterly basis for tax deducted on rent. This certificate is issued as From 16A. TAN number is necessary in order to deduct Tax. If Nil Tax is applicable on the income of the person receiving rent, he/she can file Form 15G/15H for no deduction of TDS. If the receiver of rent is unable to produce PAN card. TDS is required to be deducted @20%. No education Cess is applicable on TDS on Rent. No surcharge is applicable on TDS amount, except rent is paid to a foreign country and amount of rent is exceeding 1 Cr. If municipality tax is paid by the tenant, no tax would be deducted from such amount. I hope that I was able to clarify your doubts about TDS on rent. If you have any further queries on the subject feel free to post it in the comment section. How to pay TDS on sale of property?